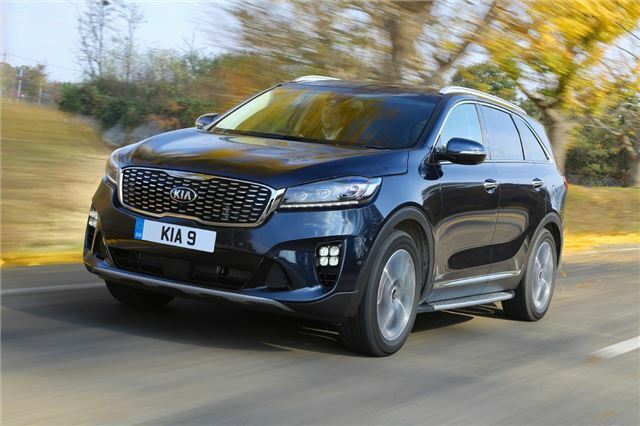 We’ve long admired Kia’s capable Sorento, which packs seven seats and lots of equipment into a presentable, affordable package. 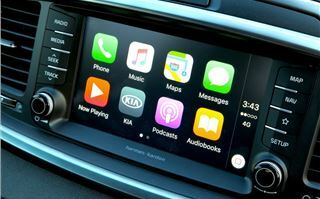 Not one to rest on its laurels, however, Kia has recently introduced a series of updates to its flagship SUV. First up are two new trim levels, dubbed GT-Line and GT-Line S, which are designed to give the Sorento a more upmarket and eye-catching look. Each consequently comes with a range of cosmetic upgrades, including 19-inch alloy wheels, neat ‘ice cube-style’ fog lights, a twin-exit exhaust and stainless-steel side steps. Both trims also come with a host of interior tweaks, including black leather seats with grey stitching and a perforated leather steering wheel. Not all the upgrades are cosmetic, mind. The GT-Line, which is based on the well-equipped KX-2 model, gets additional kit that includes electric front seats, keyless entry and start, a seven-inch dash display and a speed limit warning system. 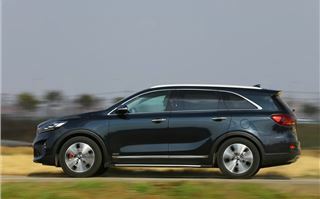 Kia throws everything at the GT-Line S, however, including ventilated front seats, adaptive cruise control, corner-tracking LED headlights, automatic parking, a surround-view camera and a high-end sound system. Predictably, there’s a premium to pay. The new GT-Line will cost you £36,495, which is £1800 more than the KX-2. The GT-Line S, on the other hand, clocks in at a hefty £41,995 – £7300 more than the KX-2, due to all the additional equipment. Another key change for 2018 is the introduction of a new eight-speed automatic gearbox for the all-wheel-drive Sorento. This torque converter-based transmission, used in the new Kia Stinger, replaces the six-speed unit and is claimed to boost efficiency. Previously, in a comparable specification, the Kia would reputedly average 42.2mpg and emit 174g/km. 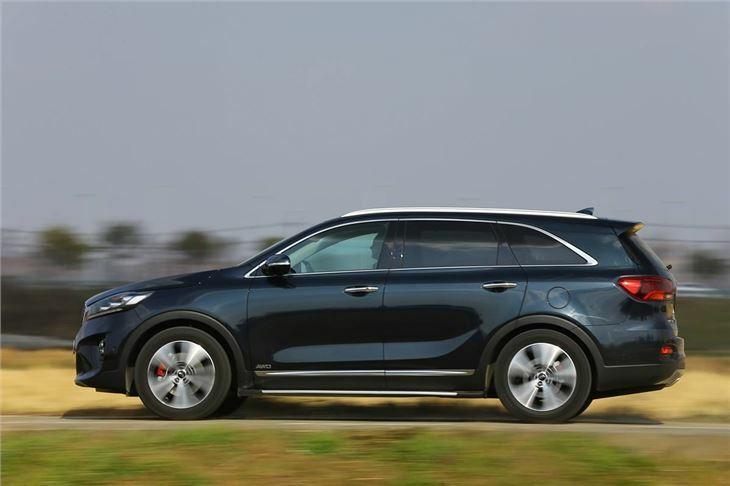 Now, with the new transmission, the Sorento tallies an official 43.5mpg and 170g/km. Fractional benefits, perhaps, but the real-world differences could prove more noticeable. The core appeal of the interior remains unchanged – it’s comfortable, spacious and practical. Even six-feet-tall adults can sit in the third row without excessive discomfort. It also finished to a high standard, with the switchgear having a pleasingly tactile action and the materials used being of a good quality. 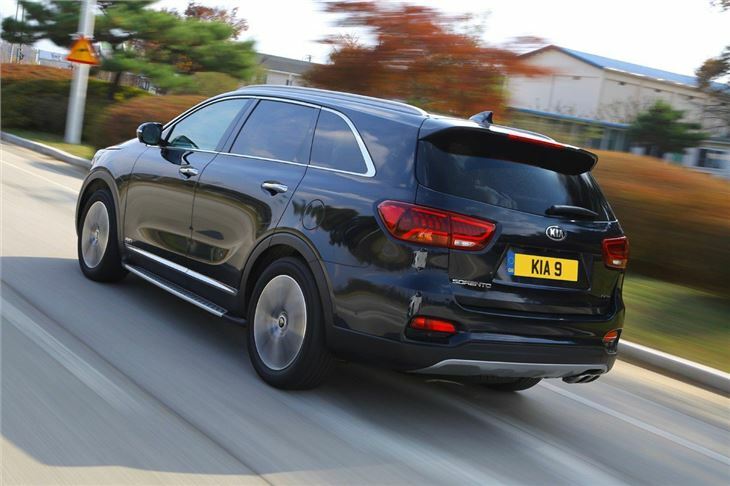 While it might look like a vast SUV, the Sorento doesn’t feel particularly unwieldy through town or out on country lanes. Visibility is good and, thanks to precise and adequately weighted steering, it’s easy to position on the road. There’s the odd thump over bigger bumps, due to the bigger wheels, but it still rides and corners in a controlled, comfortable fashion overall. You’ve have no problems when it comes to parking, either, due to a host of assistance systems including a 360-degree parking camera. The new eight-speed transmission shifts gears unobtrusively and quickly. While not as accomplished as the likes of the eight-speed ZF found in BMWs, it’s a far slicker set-up than the previous transmission. 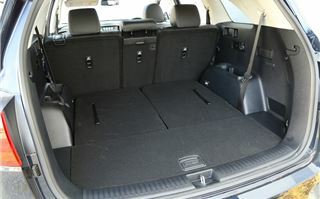 It also boosts the performance slightly and the 2.2-litre diesel never feels strained. Besides a little typical diesel noise and vibration at idle and high speeds, it’s a refined and flexible powerplant. 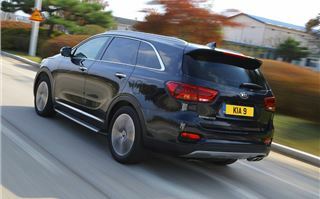 The Sorento should prove comparatively economical, too. Our test route consisted primarily of cross-country driving, during which it averaged an indicated 35.8mpg. That’s better than figures achieved in similar conditions by the six-speed version and, on a longer cruise, the eight-speed model could well exceed 40mpg. Many drivers will also appreciate the full-size spare wheel, which means you don’t have to rely on an oft-useless tyre repair kit. 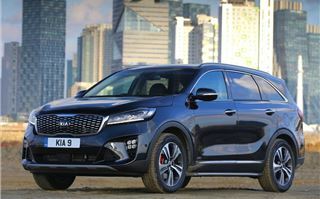 All in, the new transmission has certainly improved the Sorento, while the additional trims – if you like the look and equipment combinations – are worth considering. 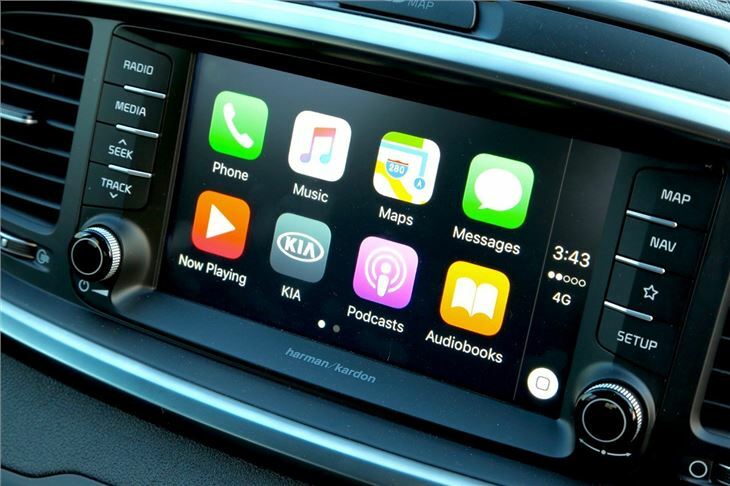 In any instance, in part due to its seven-year, 100,000-mile transferrable warranty, the Kia should prove a quietly gratifying and hassle-free car to live with. 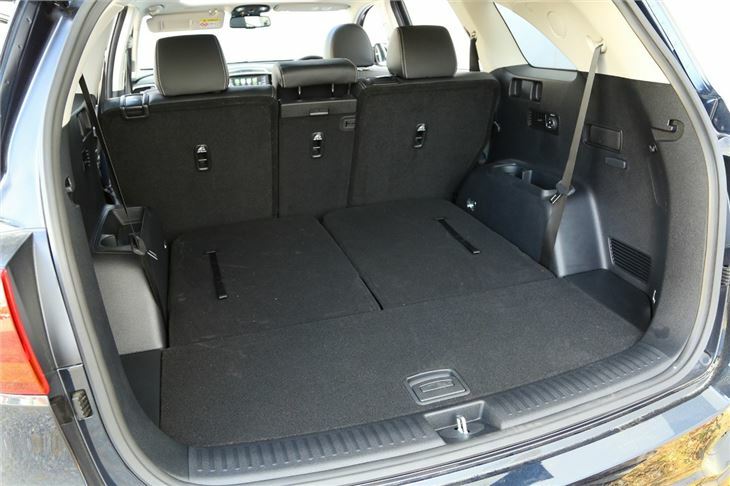 If you’re in the market for a seven-seat SUV, then this definitely deserves a spot on your shopping list.